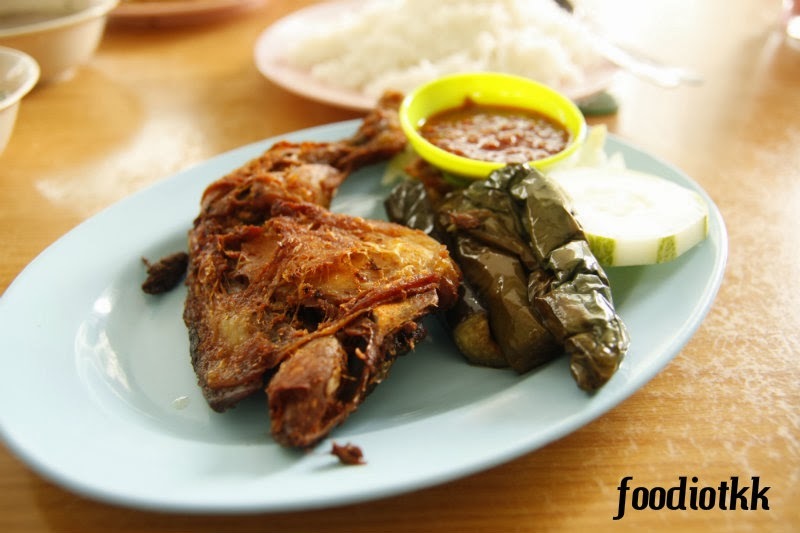 After tried the Ayam Penyet at Warung Bandung and Warung Padang Jawa, this is another Ayam Penyet in my tasting list! Restoran Sri Rezeki is famous for their Mee Rojak and Soto, I tried the Mee Rojak Ayam before and found the peanut sauce is very aromatic. 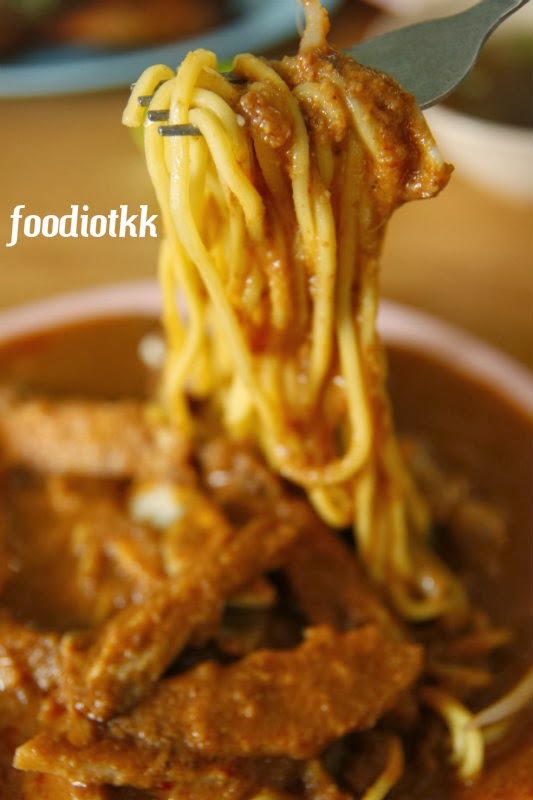 However I am still prefer the Indian/Mamak's version -- the Rojak Pasembur and the Mee Rojak Pasembur. 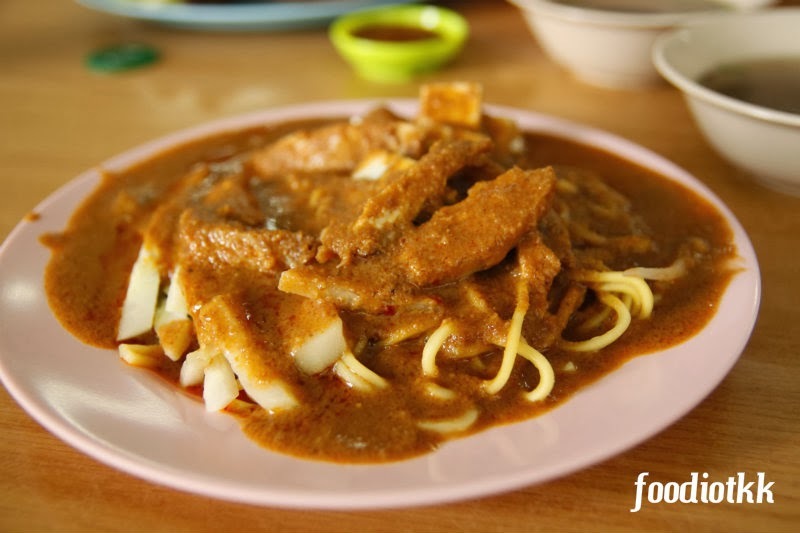 Most of the Mee Rojak in KK have very few beancurd, there is no prawn fritters, no coconut cake and always come with chicken or beef, unlike the Penang version of Mee Rojak. 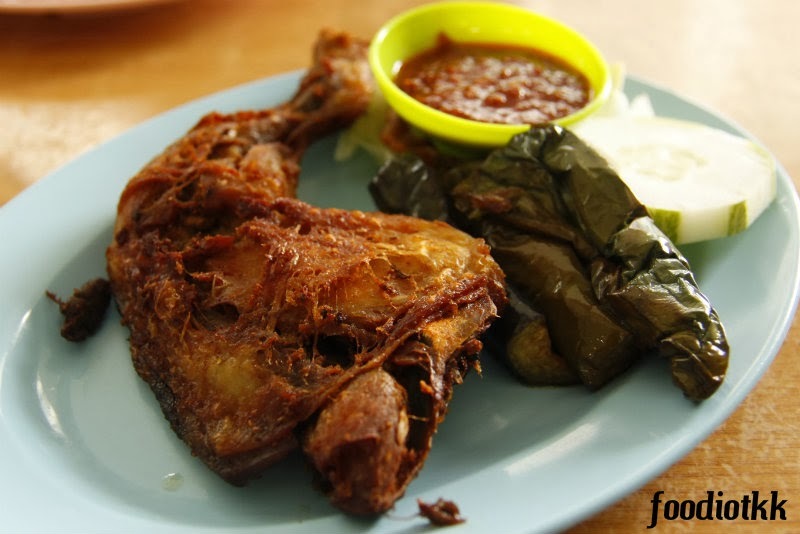 For the Ayam Penyet, I think the chillies was not bad.